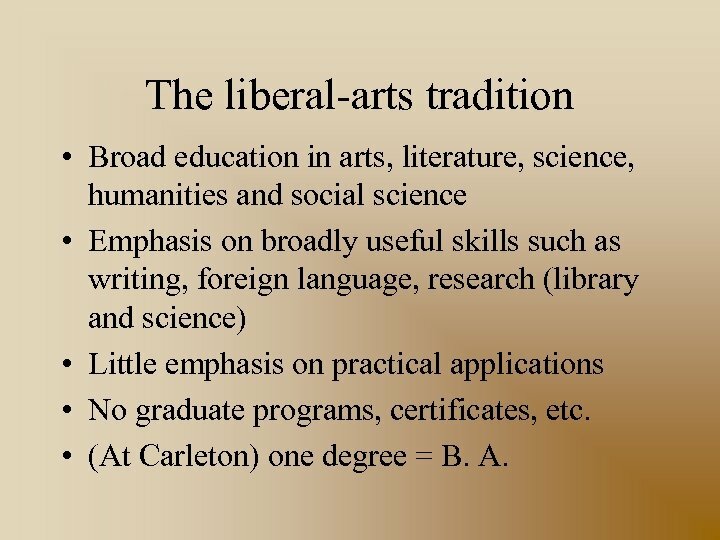 The liberal-arts tradition • Broad education in arts, literature, science, humanities and social science • Emphasis on broadly useful skills such as writing, foreign language, research (library and science) • Little emphasis on practical applications • No graduate programs, certificates, etc. 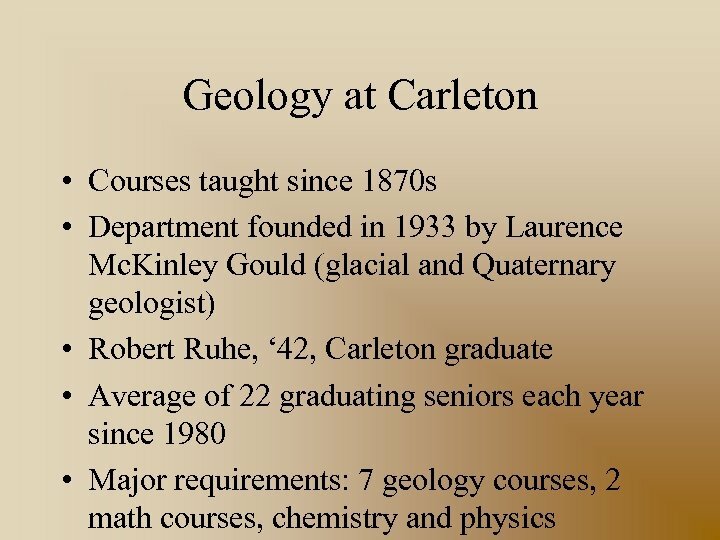 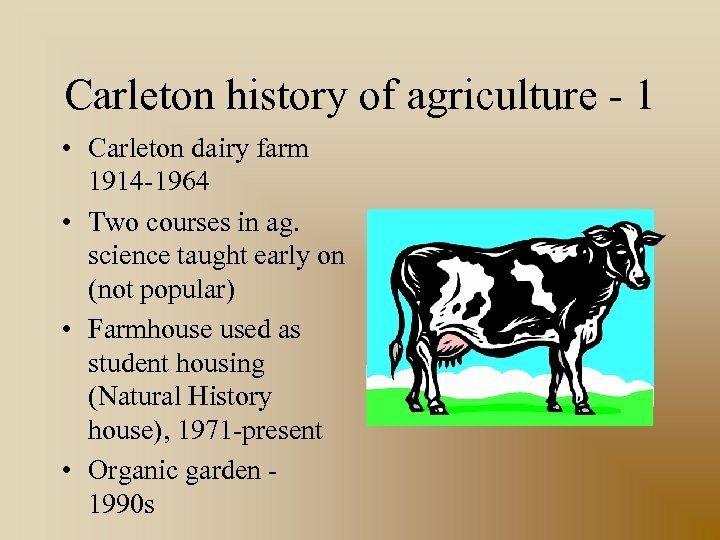 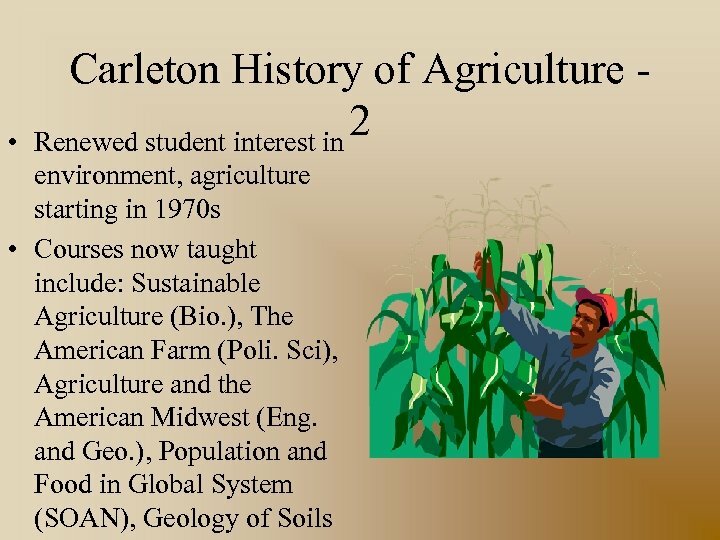 • (At Carleton) one degree = B. 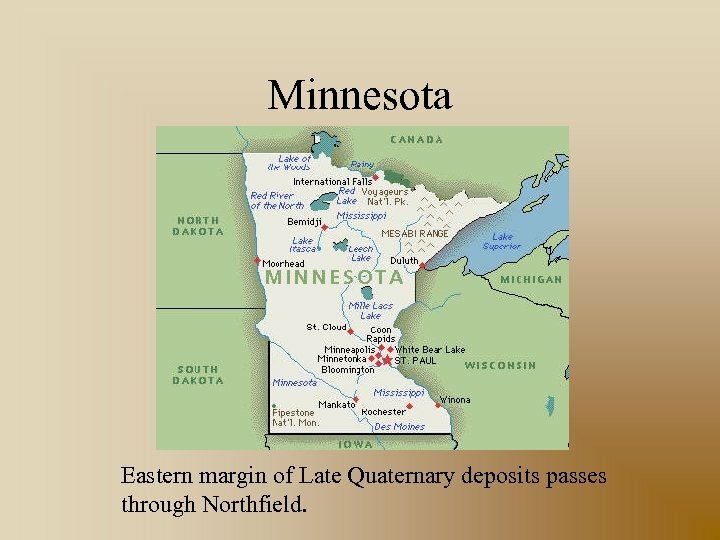 A.
Minnesota Eastern margin of Late Quaternary deposits passes through Northfield. 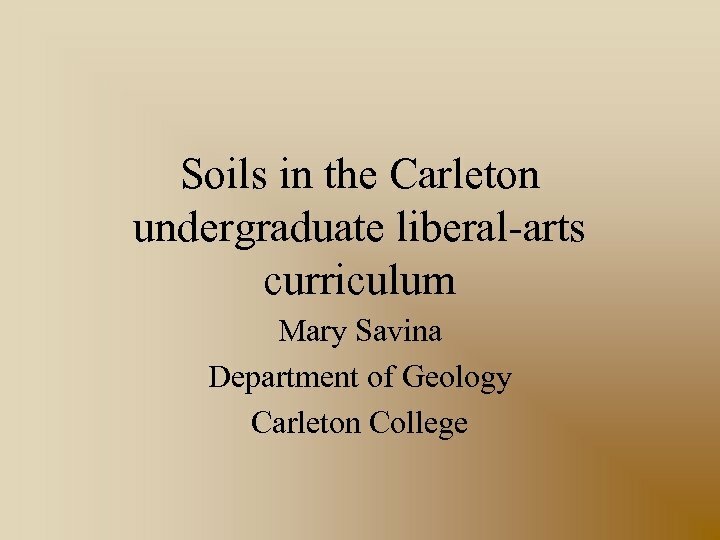 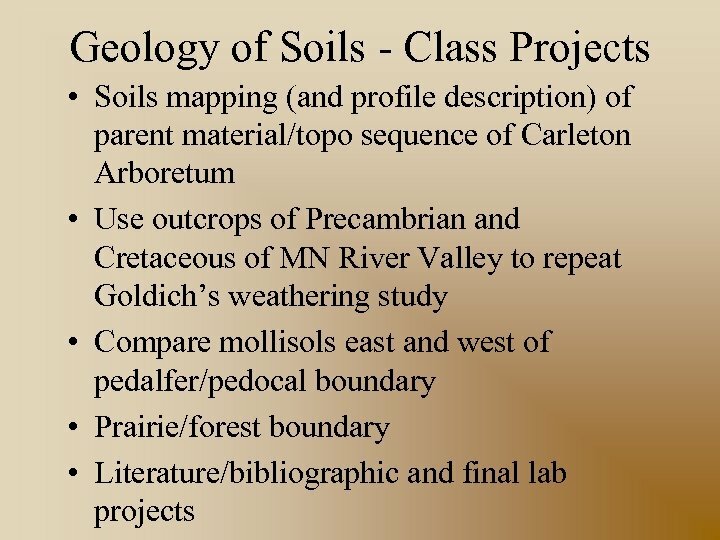 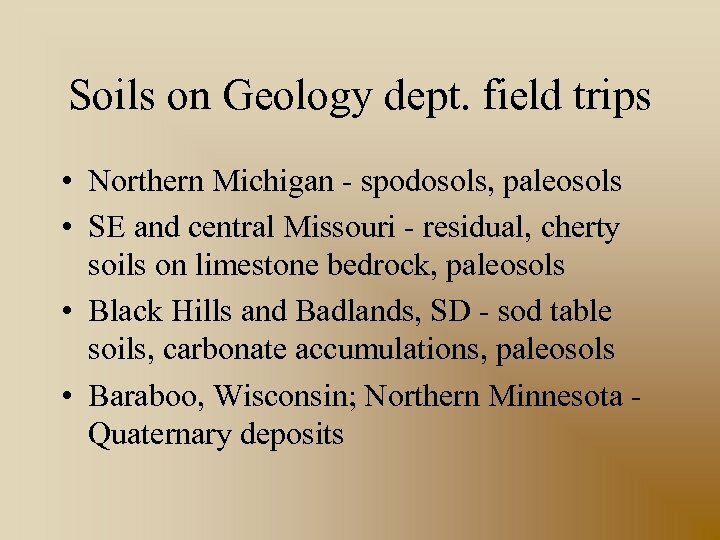 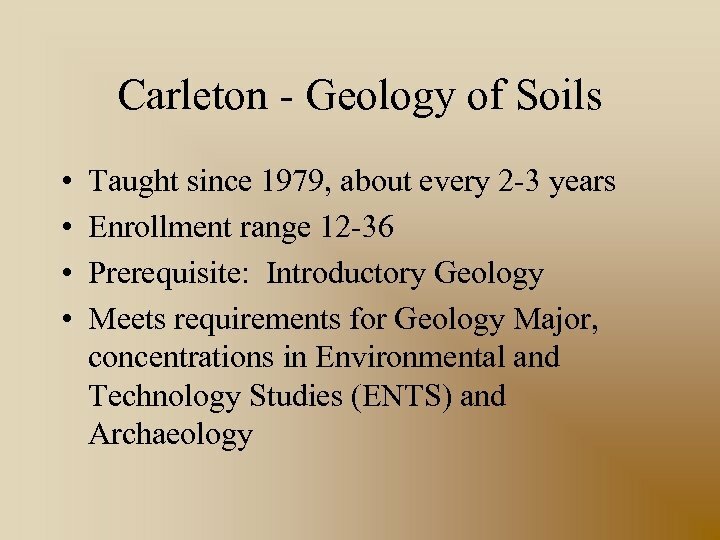 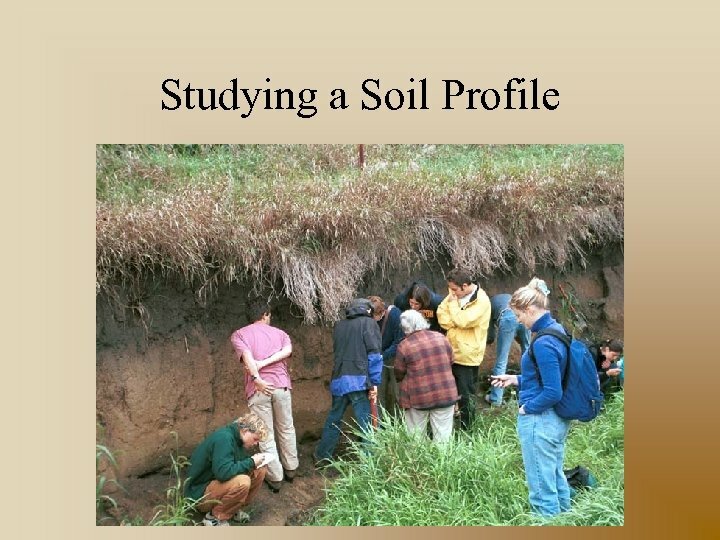 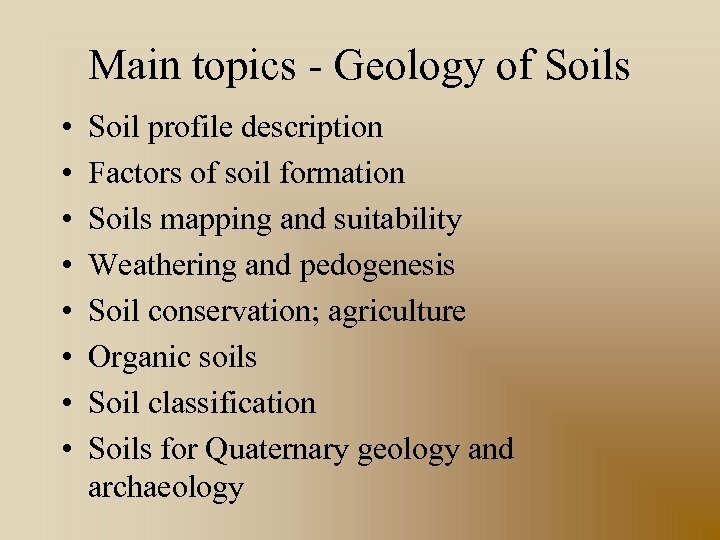 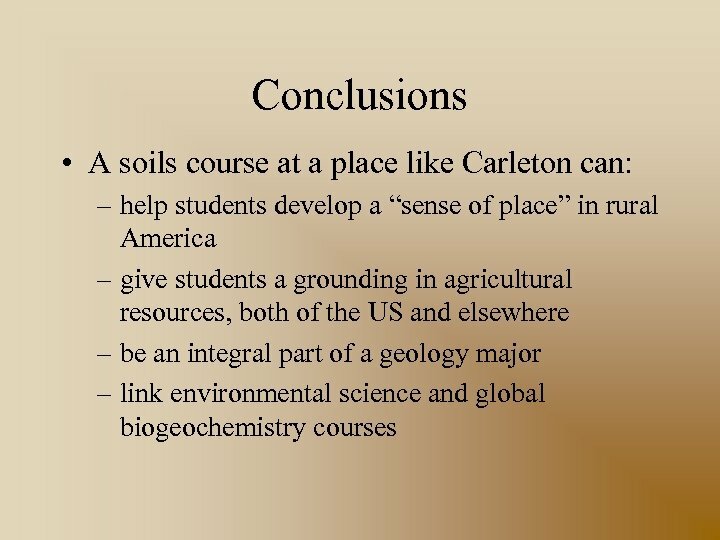 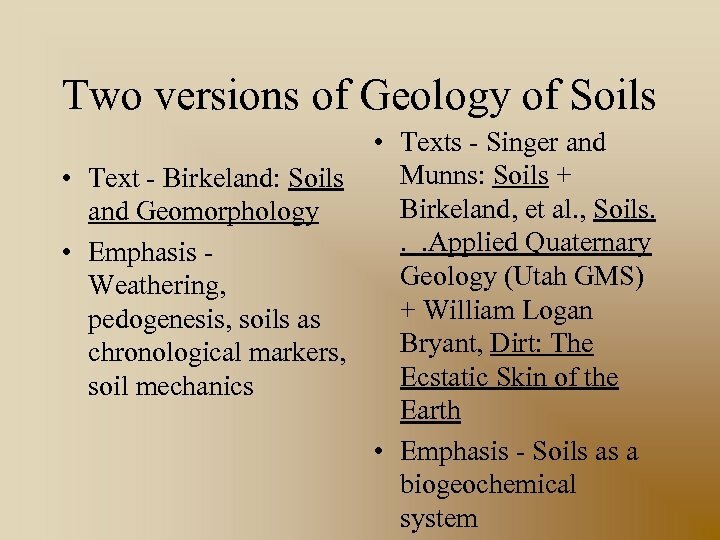 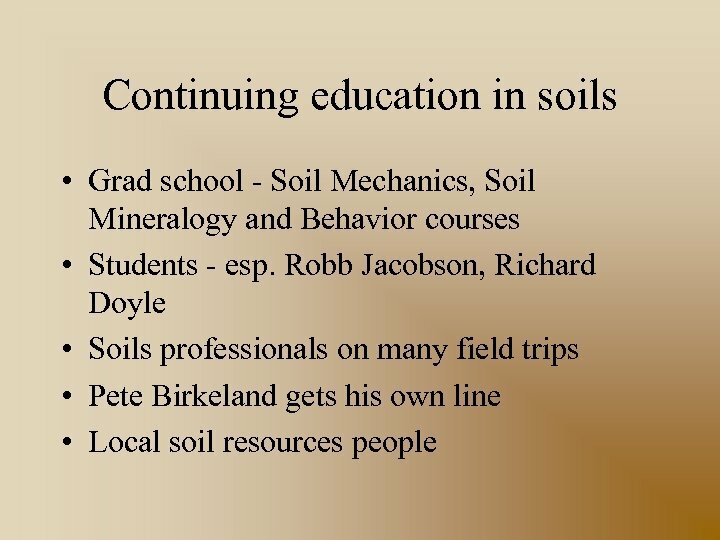 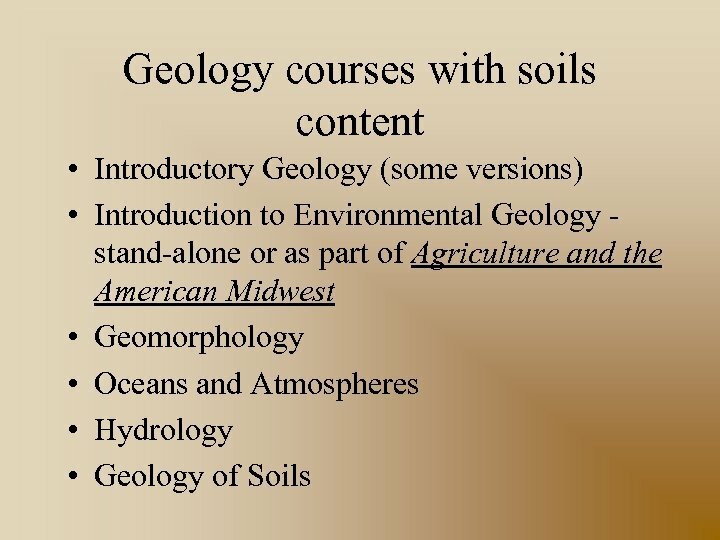 Geology of Soils: Purpose and Questions • Goal: understand soils as a complex biogeochemical system • Q 1: What are the observable characteristics of soils? 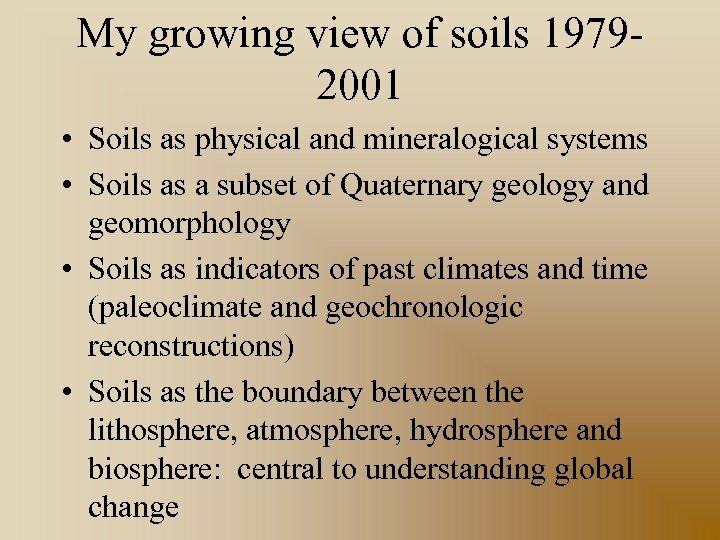 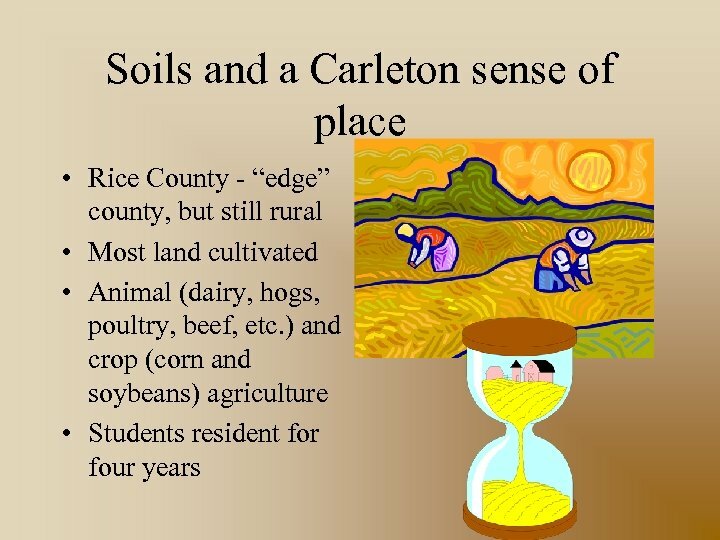 • Q 2: How do soils get to be this way? 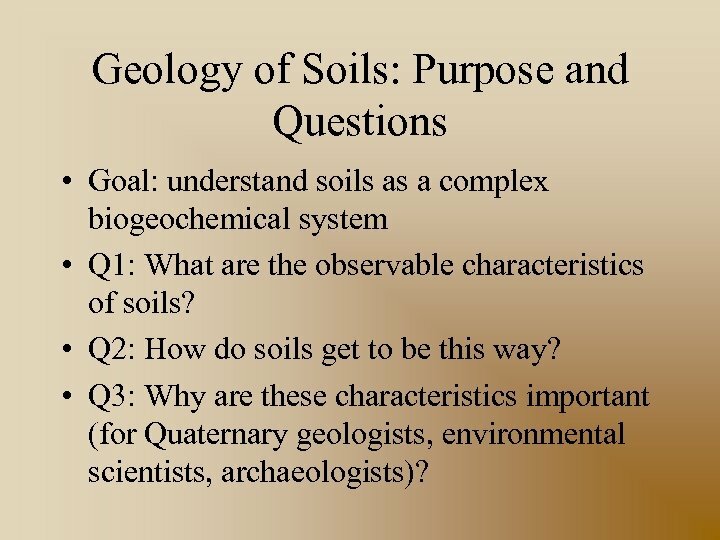 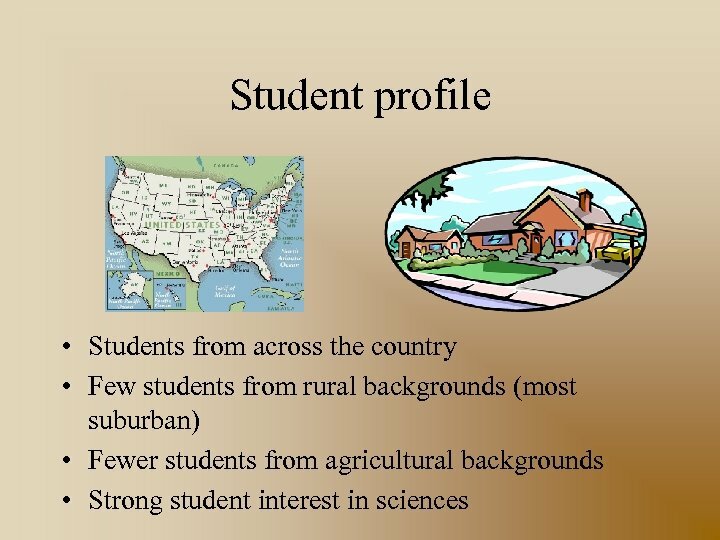 • Q 3: Why are these characteristics important (for Quaternary geologists, environmental scientists, archaeologists)? 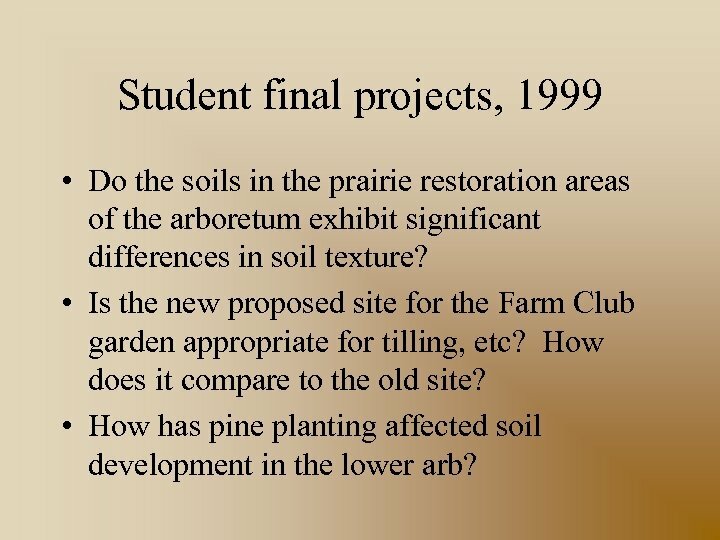 Student final projects, 1999 • Do the soils in the prairie restoration areas of the arboretum exhibit significant differences in soil texture? 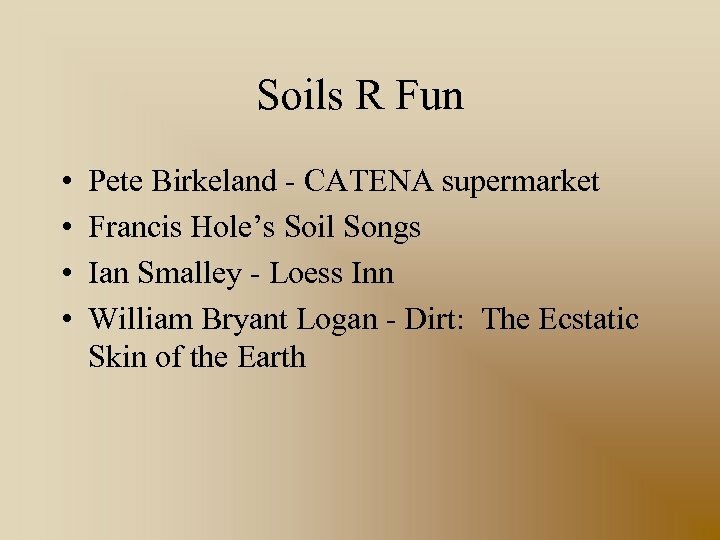 • Is the new proposed site for the Farm Club garden appropriate for tilling, etc? 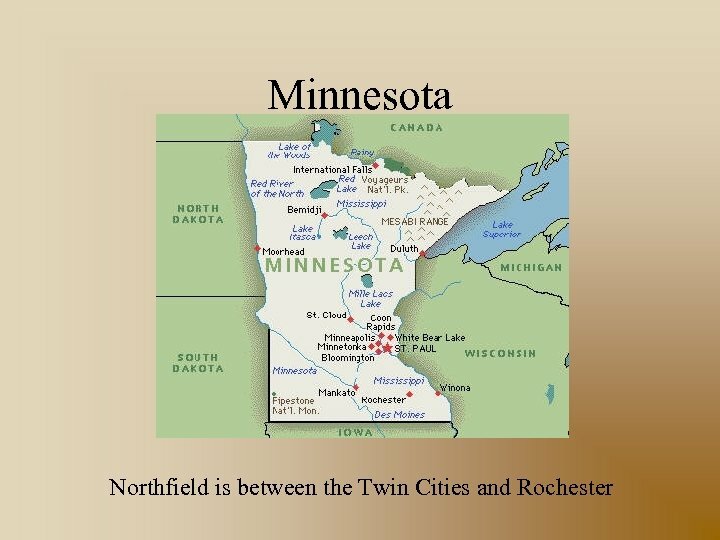 How does it compare to the old site? 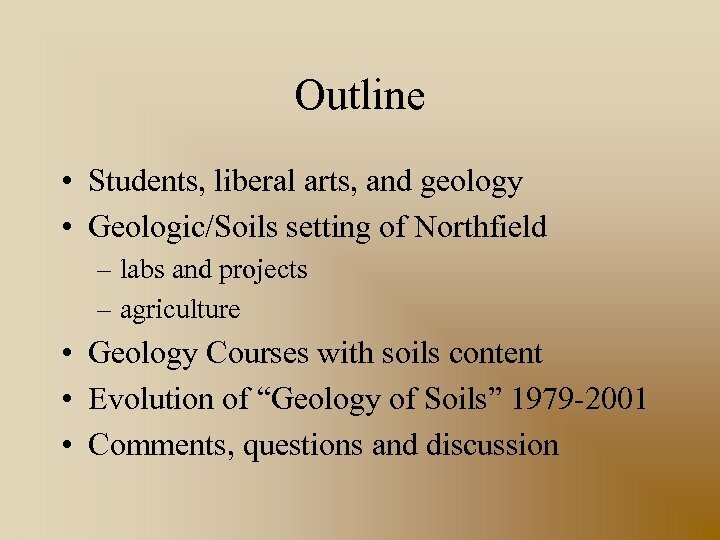 • How has pine planting affected soil development in the lower arb? 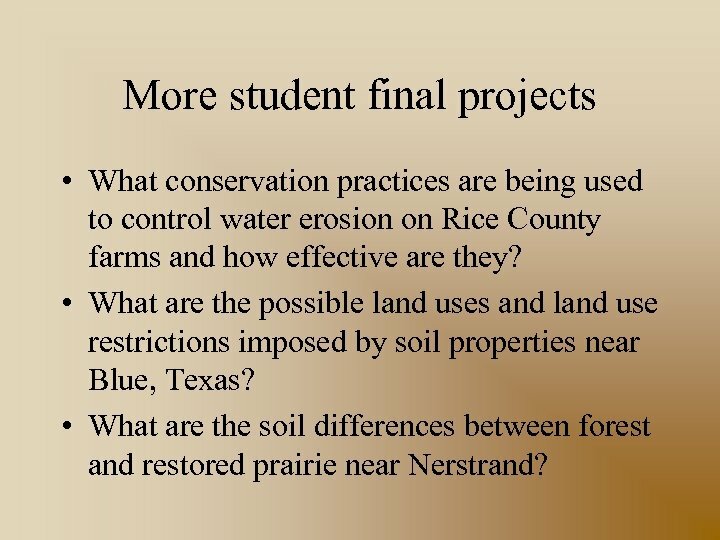 More student final projects • What conservation practices are being used to control water erosion on Rice County farms and how effective are they? 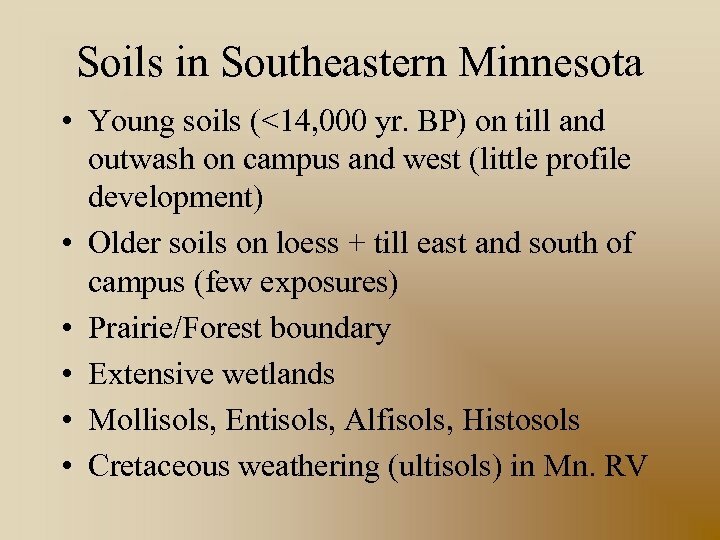 • What are the possible land uses and land use restrictions imposed by soil properties near Blue, Texas? 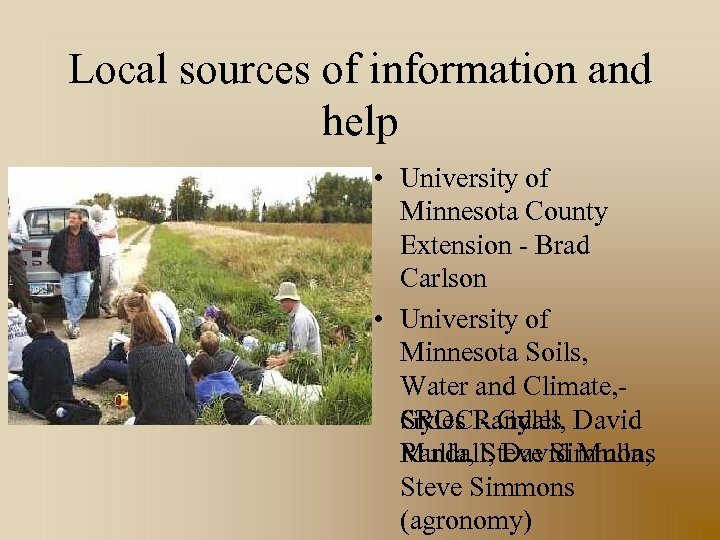 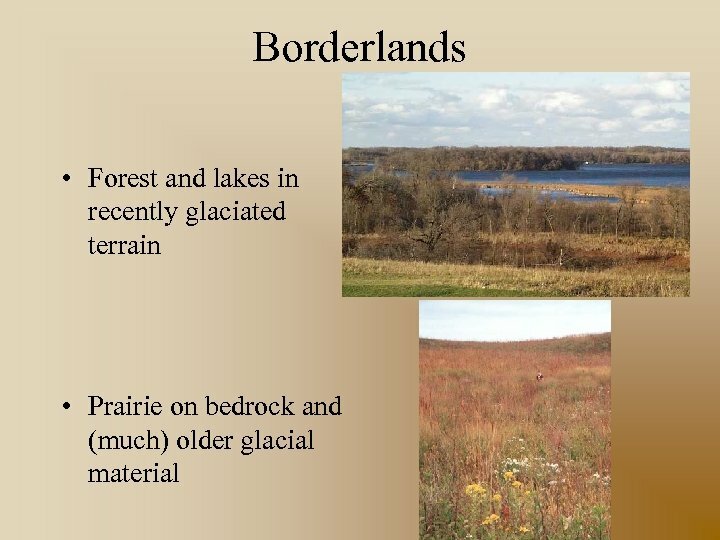 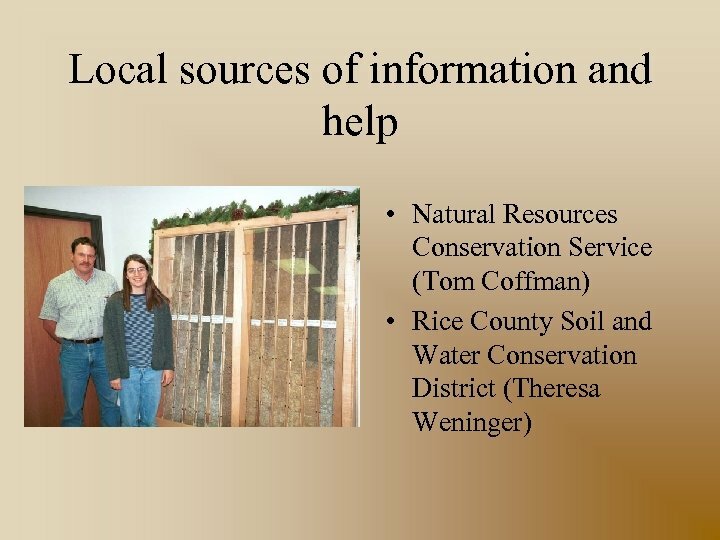 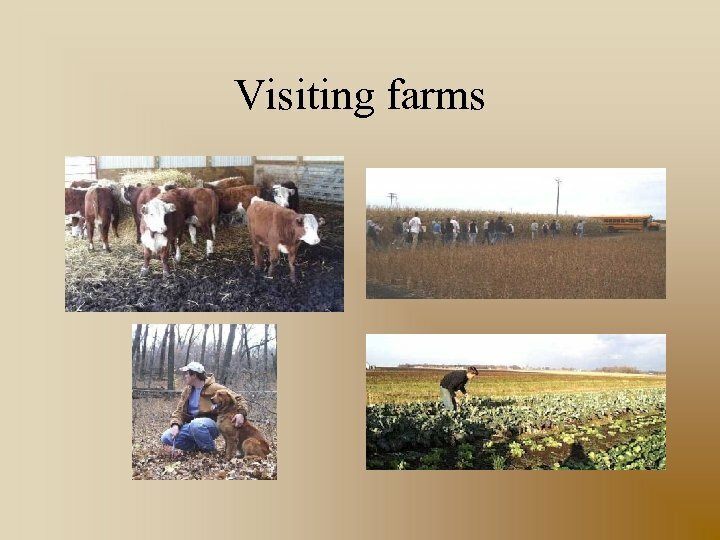 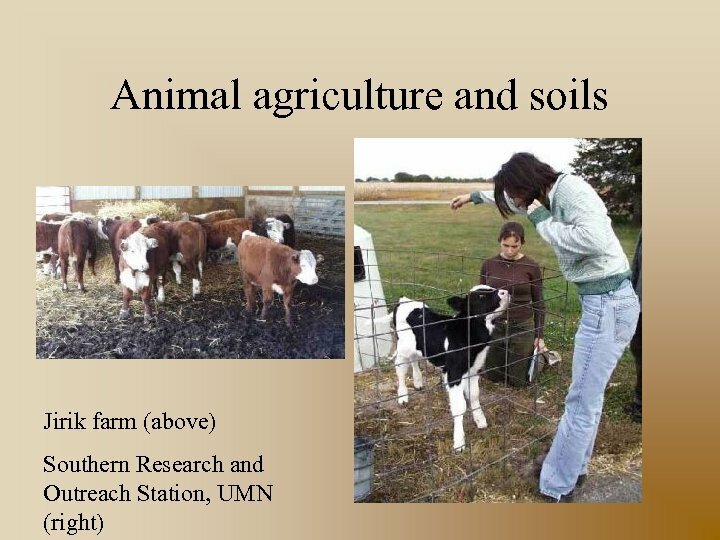 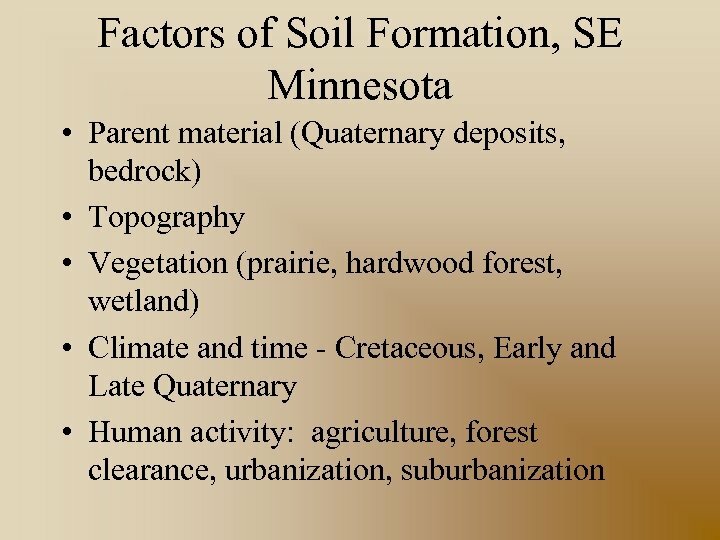 • What are the soil differences between forest and restored prairie near Nerstrand?